Boys & Girls Clubs provide innovative STEM learning environments for students to grow into productive, caring and responsible citizens. 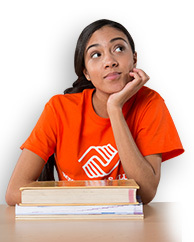 Boys & Girls Clubs offer Science, Technology, Engineering and Math (STEM) programs as an approach to meeting their goal of helping youth reach their full potential to grow into productive, caring and responsible citizens. “STEM programs at Boys & Girls Clubs provide youth an opportunity to fall in love with learning while building skills that support academic success,” explained Chrissy Booth, Senior Director of Youth Development with Boys & Girls Clubs of America (BGCA). “STEM is more than just subjects you learn,” said Kaila L., BGCA’s 2017 National Military Youth of the Year. “It’s about being part of a team and gaining problem-solving skills.” Kaila joined her local Boys & Girls Club as a high school sophomore who was interested in science and engineering. At the Club, she was given the freedom to generate and follow through on ideas and projects. Like leading a team that repaired bicycles that were given to youth as holiday gifts. “I had to plan the whole project,” she said. “It wasn’t just about learning, but also how to apply what I learned.” Kaila is currently working on a degree in mechanical engineering. STEM activities in an informal after-school setting complement what students learn in school by providing youth with hands-on STEM experiences facilitated by engaged staff. Youth can learn what it’s like to be an engineer or a scientist by constructing projects or conducting experiments. Every Club works to cultivate a space that sparks youth’s STEM interest. Having an equipped learning environment helps inspire innovation in STEM-related activities, so Boys & Girls Clubs across the country are adding STEM Centers of Innovation to provide youth access to advanced technologies that stimulate creative approaches to STEM exploration. As a founding partner, Raytheon’s support enables Clubs to take a holistic approach to STEM learning by leveraging space, programs, infrastructure, staffing and partnerships. “STEM gives purpose to what you’re learning,” said Kaila. Through the STEM Centers of Innovation, youth are more motivated to dig deeper into their interests with student-led, hands-on projects. Many science and engineering ideas come to life through the devices we hold in our hands, but cutting-edge technologies aren’t easily available to every young person. Samsung works with Boys & Girls Clubs to help remove access barriers by putting those technologies, and STEM-based curricula, into the hands of more youth. Samsung’s support also aided the expansion of the DIY STEM program for youth in grades 4-9, which provides exposure to STEM topics, connects them with real world, hands-on applications, and empowers the next generation of innovators. 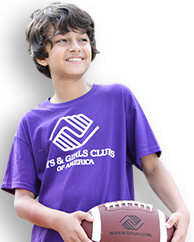 Boys & Girls Clubs provide physical spaces for youth to learn, play, and socialize. And by partnering with Comcast NBCUniversal, Clubs have expanded their offerings in the digital space. The MyFuture platform teaches youth about the endless possibilities technology offers and helps them thrive in today’s digital world. The platform provides access to a variety of interactive programs ranging from digital literacy essentials to visual arts to game design to music-making. It also gives staff tools to recognize members with digital badges, and allows Clubs to showcase the projects members make. Studying computer science teaches youth computational thinking and gives them the critical thinking and problem-solving skills needed for success in and out of school. Microsoft partners with Clubs to provide access to increasing complex computer science activities through the Computer Science Pathway on MyFuture. Members learn to code, apply computational reasoning, and design and code original ideas while learning the skills needed to become creators of technology and the world’s future innovators.